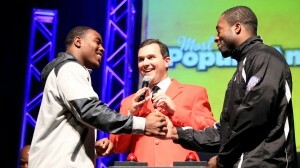 Before the teams take to the gridiron on December 26, they will have to battle it out in the “Big Game Show.” Coaches and players from both teams will compete in an array of game show-style competitions, and the audience will have a chance to participate too! Doors open at 5:15 p.m. with the show starting at 5:30 p.m. 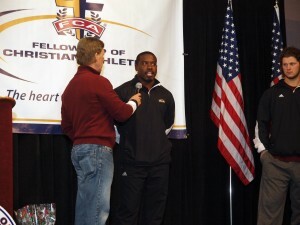 The annual Fellowship of Christian Athletes Breakfast is presented each year for the participating teams and their coaching and administrative staffs. Hosted by the Northwest Louisiana FCA Chapter, this event annually hosts more than 500 guests, offering breakfast, and featured speakers who give their personal testimonies. Kickoff game day with a 5K! For the first time, the Camping World Independence Bowl has partnered with Sportspectrum to create a 5K on game day. 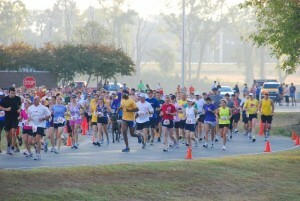 Fans can register for the 5k . Bring the family for this FREE event at the Louisiana Fair Grounds, which features local cuisine, live music, inflatable games and more. There will also be ice skating at the Hirsch Coliseum! Skating will be open from 10 a.m. until 4 p.m. Admission will be $8 per person, and skate rental will be $4 per pair. Head out to the Louisiana Fair Grounds early to catch the Pep Rally and Pararde down the midway before the start of the game. 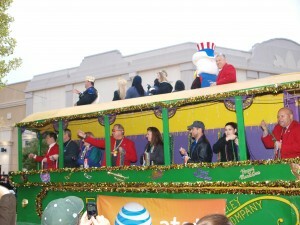 The FREE parade will feature the bands, cheerleaders and mascots from each team, as well as Mardi Gras floats and other festivities. The ending to a great day of football and fun. A time for our local night-life to shine and show our visitors a great ending to their trip. Registration will take place at The Supper Club, where we will have a tasting of our local breweries, Great Raft, Flying Heart and Red River. Next participants will go to local downtown establishments, Straycats, Noble Savage, Fully Stacked, Fatty Arbuckles, Bon Temps, Phoenix Underground and the end location Sandbar.